The king is dead. Long live the king. Or at least that’s the situation it would seem we have here. 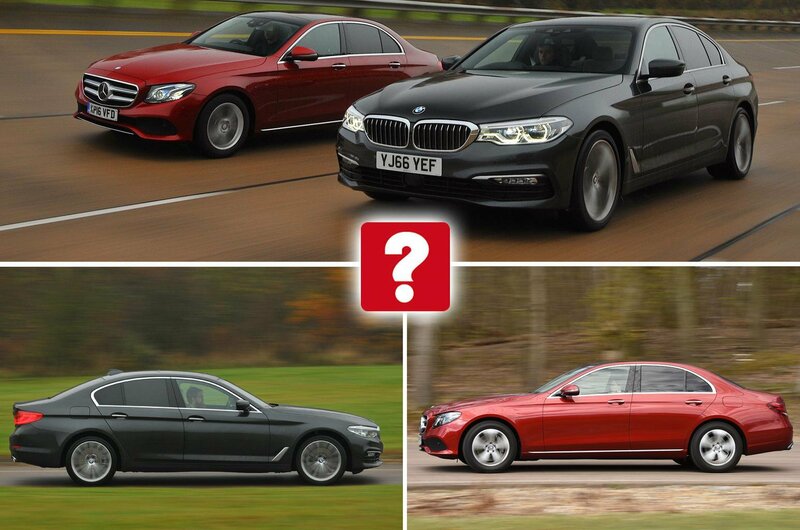 Because when you consider that the old BMW 5 Series managed to see off the latest Mercedes E-Class just a few months ago, it’s hard to believe that this all-new, albeit not that different-looking, 5 Series would struggle against the same opponent. But stranger things have happened and the new 5 Series is more expensive to buy than its predecessor without delivering any worthwhile improvements in fuel economy or CO2 emissions. 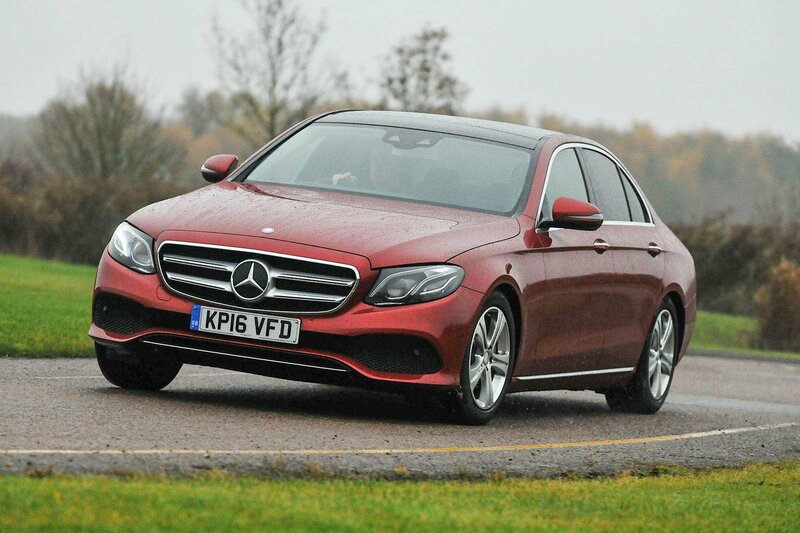 Meanwhile, the E-Class is the most efficient diesel car in the class, so the result of this test might not be quite such a formality after all. Both have 2.0-litre diesel engines that pump out almost identical amounts of power and torque. However, the E-Class edges it for straight-line pace, sprinting from 30mph to 70mph fractionally faster than its compatriot when you plunge the accelerator pedal to the floor and leave the business of changing gear up to the car. You’ll need to call on full power only very occasionally, though, because both cars build speed swiftly with just a gentle squeeze of the right pedal. The eight-speed gearbox in the BMW is slightly smoother with its shifts and has an uncanny knack of always being in the right gear at the right time. Mind you, the nine-speed gearbox in the E-Class isn’t at all fractious. 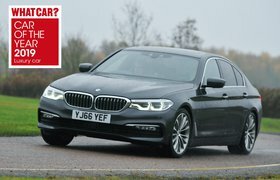 Luxury saloons are obviously more about pampering you than poking you with a stick, but if you do find yourself on a twisty road and fancy some fun, the 5 Series delivers surprisingly well. You can take control of gearshifts in either car by pulling paddles behind the steering wheel, but hit the brakes on the approach to a corner and the 5 Series scrubs off speed quicker than the E-Class, keeping its body much more level while it does so. It’s the same story as you steer through the corner. The 5 Series stays remarkably upright, whereas the E-Class leans over like a sailing boat on a windy day. Don’t expect particularly feelsome steering in either car – both are designed more for high-speed stability than cat-like agility – but the 5 Series again has the edge. It’s easier to place through bends because the amount of steering lock you apply directly relates to how much the front wheels turn, whereas in the E-Class, the speed of the steering increases exponentially the more you turn the wheel. This does mean less arm work when parking and manoeuvring, though. 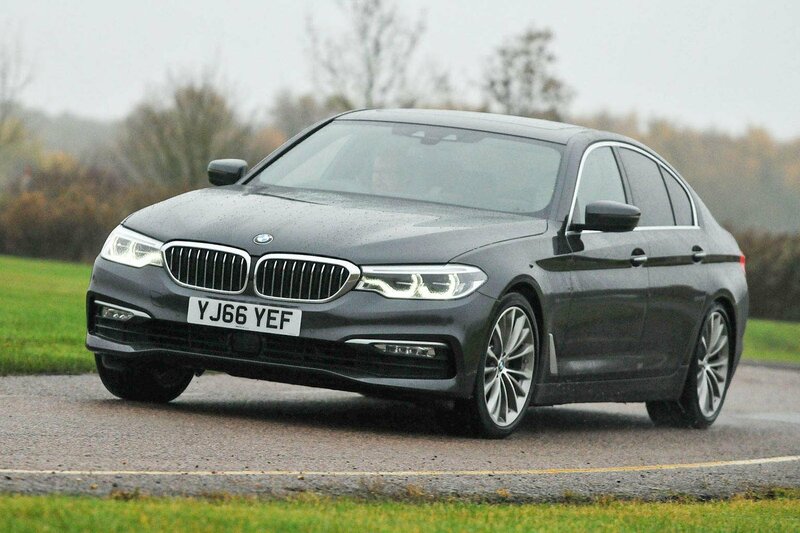 Ride comfort is arguably the most important trait of a luxury car and our 5 Series test model was hampered slightly by its optional 19in alloy wheels, which picked up on smaller imperfections a little too readily at all speeds. However, the car is transformed by the optional (£985) Variable Damper Control (VDC) suspension. Resist the urge to add wheels larger than 18in and you’ll have a car that rides the worst of UK roads like it’s floating on air. It smothers potholes and is beautifully controlled on motorways. The E-Class’s softer suspension allows the body to bounce far more along undulating roads and, surprisingly, crash more over potholes. It does ride smoothly on the motorway, though, and is improved significantly by the optional Air Body Control suspension. However, that costs £1495 and the E-Class still isn’t as comfortable as the 5 Series.